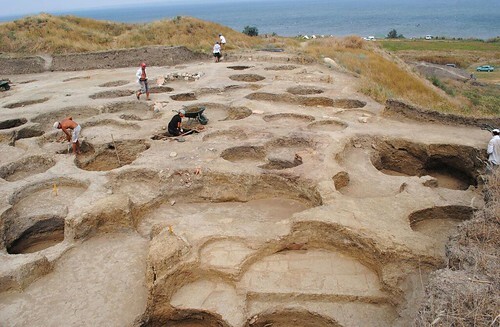 Russian archaeologists working at the site of the ancient Greek city of Phanagoria near the Black Sea have discovered traces of a violent coup at the site, which at one time was the capital of the Kingdom of Bosporus in the 5th-4th century BC. 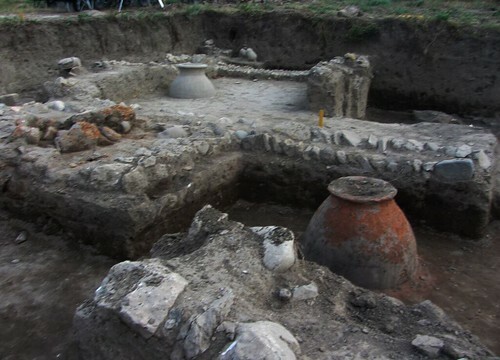 Following the Foundation-supported 12th archaeological season at the site of ancient Phanagoria, archaeologists reached ancient layers dating back to the 6th-5th century BC. They unearthed fragments of a city destroyed by a massive fire in 480-470 BC. It matches historic chronicles about power transition in the Kingdom of Bosporus when a Thracian dynasty of Spartocids deposed the ruling Archaeanactids dynasty in the 5th century BC. The discovery suggests that the ruling dynasty’s takeover was accompanied by violent clashes that destroyed the entire city. 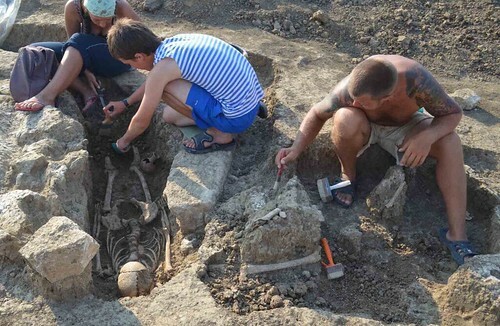 Archaeologists will conduct a more thorough study of the city’s remains next year, as the recent archaeological season at Phanagoria was marred by heavy rains that hindered access to the finds. Among the recent discoveries thus far, however, are remains of a two-room sun-dried earth brick building dated to the 6th century BC. If the further studies confirm it was part of an acropolis, it will be the most ancient shrine found on modern Russian territory. Among other finds in 2015 is evidence that supports the accounts of the city’s fall in the 10th century when the residents abandoned the area for unknown reasons. Archaeological finds, together with historic documents now confirm that Phanagoria was one of the main cities of Khazar Kaganate in the 10th century A.D., and that it was besieged by the Slavic warlord Helgu (often interpreted as Oleg) who was known as a diplomatic invader. He was believed to have forced locals to flee the city in exchange for immunity. The site of Phanagoria is known to have yielded a rich array of rare historic artifacts. Among them is an ancient naval ram used by the army of Mithradates VI of the Bosporan Kingdom to quell a popular uprising against him in 63 BC, as well as a palace of Mithradates VI dated to the 1st century BC, an ancient tomb with a stepped ceiling, the oldest temple unearthed on Russian territory dating back to the 5th century BC, and a number of submerged objects, e.g., the ancient city’s streets covered with sand, Phanagoria’s port structures, and ship debris. The history of the site goes back to the time when it was first established as a colony by the Milesian Greeks in the 7th and 6th centuries B.C. Adapted and edited from the subject Basic Element press release.